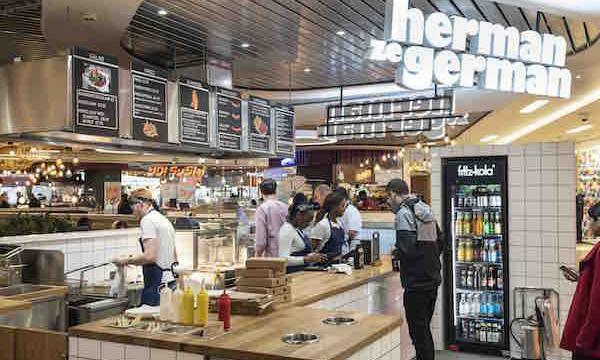 German eatery Herman Ze German has opened its first UK site outside of London at Grand Central, Birmingham. The 700 sq ft site will serve 42 covers. In line with the brand’s existing London locations, the new restaurant interior was designed by freelance Berlin-based designer Lena Kramer. Grand Central is part of the Bullring Estate, Birmingham’s shopping destination that comprises Bullring, Grand Central, and Link Street. “We were initially attracted to Grand Central’s unique position as one of the UK’s best travel retail destinations, a reputation it has certainly lived up to. 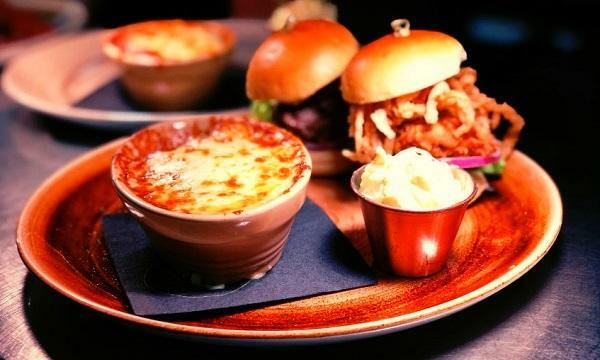 Birmingham is a successful and exciting city and we already feel right at home amongst the line-up of fantastic casual dining operators,” Herman Ze German co-founders Azadeh Falakshahi and Florian Frey said.